The polar vortex is back, and for many suffering through an already frigid winter, the Arctic air barreling into the lower 48 states may be the coldest of the cold yet. Temperatures may plunge well below zero in the Upper Midwest, and could potentially last as long as three days in some areas. Cities such as Chicago, Minneapolis, and Madison are already enduring extreme cold, with two consecutive days of subzero high temperatures expected. In addition, a rare snow and ice storm is slated to develop along the Gulf Coast on Tuesday and Wednesday. Computer model projections show the potential for more than 6 inches of snow to fall in parts of the Southeast, particularly in Southeast South Carolina, Georgia, and North Carolina, areas that are not accustomed to such heavy snowfall and ice. 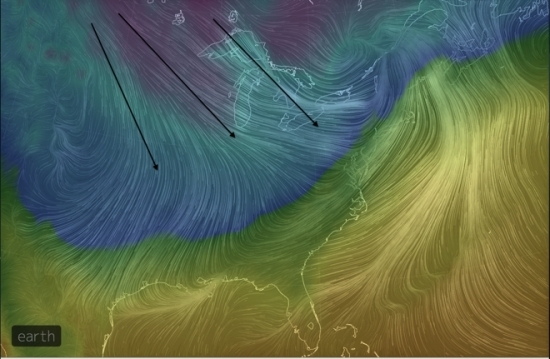 Visualization of surface winds (lines and black arrows) and temperatures (shaded colors) on Monday morning, as the latest Arctic blast swept from the Midwest to the South and East. The frigid temperatures in the Central and Eastern U.S. come courtesy of a jet stream pattern that has kept the door to the Arctic, which is the Northern Hemisphere’s freezer, wide open, allowing dangerously cold air to repeatedly move southward into the lower 48 states in distinct waves. 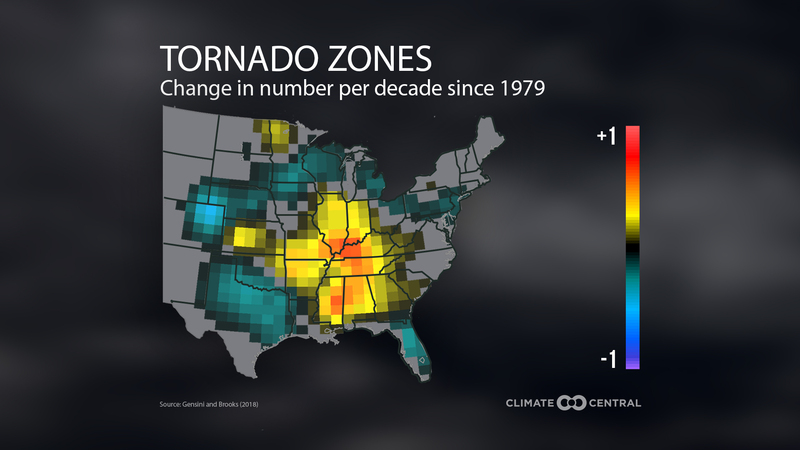 As happened in early January, the now infamous polar vortex has something to do with the latest cold snap, with its southernmost extent clipping the northern tier of the U.S. The persistence of the cold during January has set the month on course to be the second coldest winter month in the contiguous U.S. since December 2000, coming up about a degree shy of the monthly average temperature in January 2011, according to Ryan Maue of WeatherBell Analytics, a private weather forecasting firm. Of course, blaming this all on the polar vortex isn’t entirely accurate. 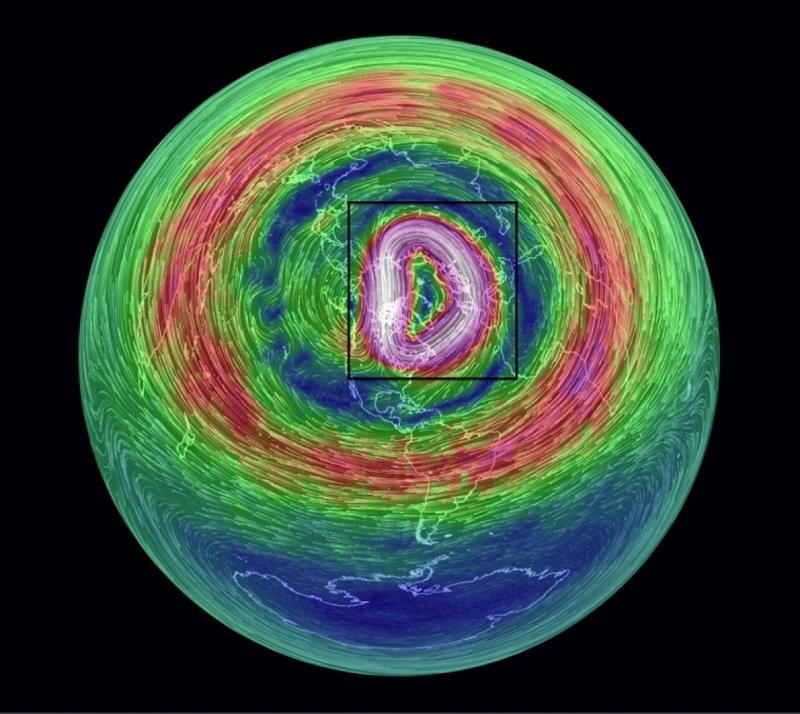 The true polar vortex exists at upper levels of the atmosphere, and what’s been causing January’s bitter cold — and soon to be February’s — is a result of the interaction between the vortex and events in the more chaotic lower atmosphere. The polar vortex exists at the upper levels of the atmosphere at and above the typical cruising altitude of commercial jetliners, and is an area of frigid air and relatively low air pressure surrounded by a strong west-to-east jet stream that circles the Arctic during the winter. When the upper level winds encircling the vortex are strong, the cold air tends to stay locked in the Arctic. But when those winds slow, as has occurred this winter, the polar vortex can wobble and split, with pockets of extremely cold air getting pinched off and shunted southward, into the U.S., Europe, and Asia. According to many computer models, this is likely to happen throughout much of February. Ultimately, the distinction between the upper level vortex and its lower level reflections is of interest mainly to meteorologists, since most Americans are more concerned with staying warm than with looking up “polar vortex” in a textbook. Charts of the middle of the troposphere, which is the layer of the atmosphere where most weather occurs, show that several areas of unusually cold temperatures are currently affecting the U.S. and parts of Europe and Asia, while an unusually mild region stretches from Alaska across the Arctic and extending into northern Siberia. While the lower 48 states freeze — every state in the contiguous U.S. is expected to see a low temperature at or below 32°F on Tuesday morning — this weather pattern also has a flipside, with unusually mild conditions affecting Alaska and the Western U.S. At 10 p.m. local time on Sunday, it was warmer in Homer, Alaska than anywhere in the contiguous U.S., except for Southern Florida and Southern California. The high temperature in Homer of 55°F broke their all-time monthly high temperature record, according to Weather Underground. On Jan. 27, the temperature in Nome, Alaska reached 51°F, which was not only the warmest temperature on record there for January, but was also the warmest temperature observed at that location between the dates of Oct. 17 and April 9, according to Weather Underground's Chris Burt. On Jan. 25, the headquarters of Denali National Park, Alaska, where Mt. McKinley is located, reached a high temperature of 51°F, which tied the record high temperature for the month of January, according to the National Weather Service. In Nome, the temperature climbed to 45°F on Jan. 26, which was the second warmest January day there since recordkeeping began in 1907. Numerous daily high temperature marks and records for highest overnight low temperatures have also been set in Alaska, and computer model projections show continued unusual warmth is likely to affect the state for much of February. Unusually mild conditions have also affected the Western U.S., as the jet stream has steered storms well north of the area into Canada, pumping warm air into the region from the southwest. For example, Sacramento, Calif., reached 79°F on Jan. 25, breaking the high temperature mark there for the month of January. 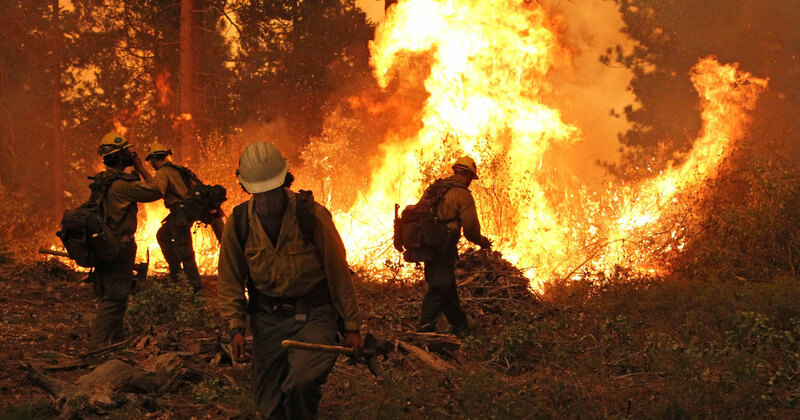 A monthly temperature record was also broken at Sacramento Executive Airport on the same day. For the lower 48 states during the period from Dec. 28 to Jan. 26, 32 monthly high temperature records were set or tied along with 12 monthly records for highest overnight low temperature. That compares to 24 monthly records for coldest high temperature, and zero monthly records for the lowest overnight low temperature. There were, however, eight records set or tied for the coldest daytime high temperature. 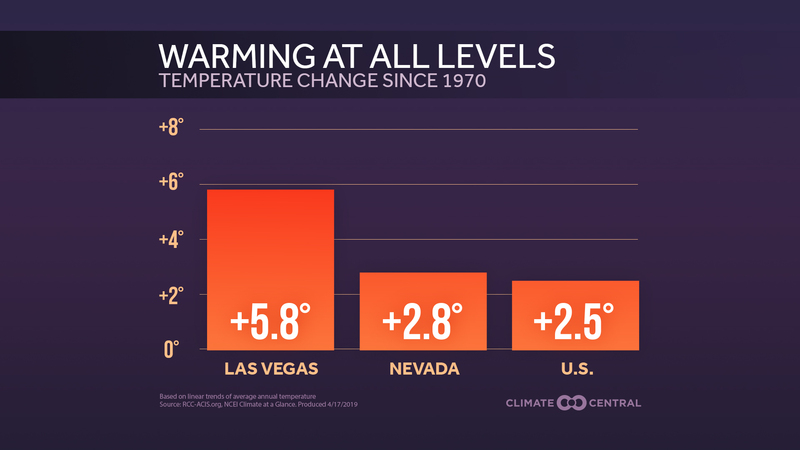 This data suggests that the extreme cold in the Midwest and East, while noteworthy, may not be as unusual from a historical standpoint as the warmth in the West and Alaska. Of course, for those in the path of this current Arctic outbreak, that’s of little consolation.